One of the most common problems when we suggest that people put their cat on a raw diet is that they try it, but realize that their cats are like: “Are you serious? What is that? Bring back my kibbles!” Many cats are very loyal to their current food brand and will not even look at anything else. Familiar? 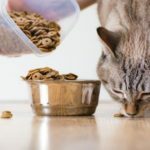 This is easy to cope with if your cat fails to glance at treats or does not like jump on the kitchen counter to steal some human food, but it becomes a serious problem if you need to switch cat food. In this article, you will learn how to switch cat food even if the cat thinks you are providing something inedible. There are many reasons to switch cat food, and even if you think you will never do so, it’s a good idea to know how. As cats age, their dietary requirements often change, not to mention if they are diagnosed with a health problem that requires a prescribed diet. What happens if a manufacturer goes bankrupt (terrible thing) or you suddenly realize that your previous choice is not that good? Do not starve your cat! Start with a small amount of new food mixed with the old food. Increase the amount of new food and decrease the amount of old food each day. After at least 14 days, provide only the new food. Take longer if your cat is not accepting the change well. Now, let’s talk about each step. 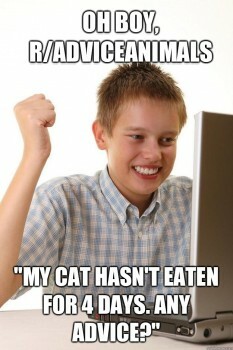 #1 Don’t starve the cat! A very common suggestion is to leave the food and not worry about it. “The cat will eat when he’s hungry enough,” they say. But it doesn’t work this way. 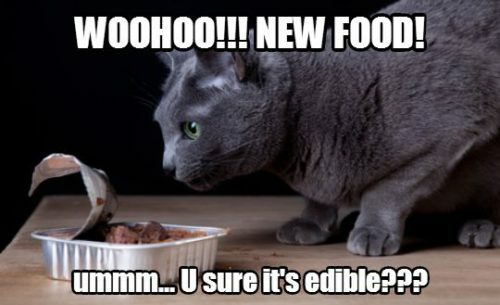 If your cat is not recognizing the new food as edible, she may not to do so no matter how hungry she is. More important, if your cat does not eat for more than two days, she may develop a medical condition called hepatic lipidosis. 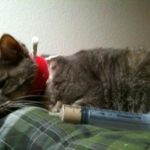 What is hepatic lipidosis and how does it affect cats? Hepatic lipidosis, also known as fatty liver, refers to the accumulation of fats in the liver of an animal. Untreated hepatic lipidosis has a mortality rate of 90%, but if aggressive and timely treatment is applied, this rate sinks to 60%. This is still pretty high. When a body begins to starve, it reaches for energy that is stored as fats. 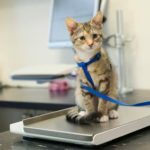 Unlike many other animals, cats’ bodies are not used to rapid increases in fats, and their liver is not able to process fats in such a great volume, and so the fat accumulates in the liver, leading to liver failure. The most common symptoms of hepatic lipidosis in cats are yellow gums, rapid muscle mass and weight loss, anorexia, and vomiting. Hepatic lipidosis is likely to develop after only two days of starving. If you need more information, you can find more about hepatic lipidosis here. The main thing to remember? Don’t let your cat starve! #2 Start with a small amount of new food mixed with the old food. Next, you need to trick your cat to eat the new food. You serve the old food with the new food inside, and you hope that the cat will not notice. Even if your cat has no problems accepting the new food, it’s still a good idea to start slowly to avoid gastrointestinal upset. What is gastrointetinal upset? You will find out below in Step 3. How much new food should you mix in? Short answer, as little as necessary. While some sources suggest using 25%, we would say that this is the maximum. Sometimes it may only take a teeny, tiny speck (smaller than a rice grain) of the new food on top of the old food. 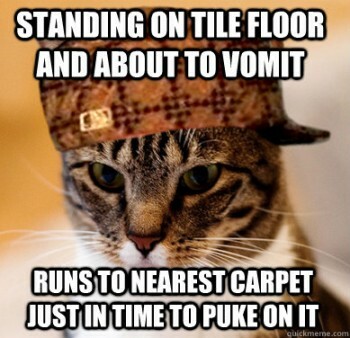 This is a common scenario when you have to introduce a wet diet to a cat that has never ever eaten anything but dry food. Again, if you add too much, your cat may not eat it. If this happens, try less of the new food. Even if your cat eats the new food, do not go beyond 25% when first introducing a new food. Hold on, you might think. “I just found out that my cat is eating crap, and you are suggesting to stick with it?” Yes, it’s better to stick with it for two more weeks rather than damaging your cat’s liver by starving her or introducing her to the cat food improperly. Trust us, two weeks won’t make a significant impact. Besides, your cat will start eating less and less old food each day. #3 Gradually increase the proportion of the new food in the serving. After you have found the old/new food mixture that your cat is willing to consume, you can start increasing the amount of the new food each day. This transition is normally carried out over a period of 10 to 14 days. Why is gradual food introduction important? Even if your cat eats well, this pattern will help to avoid gastrointestinal upset. Gastrointestinal upset? What is that? In general, gastrointestinal upset refers to any condition in which an animal’s gastrointestinal system does not work properly. In this case, we are referring to a condition where your cat’s gut flora is unable to process the new food. Gut flora are microorganisms (mostly bacteria) living in the gastrointestinal system of an animal (whether cat, dog, human, or reindeer). You’ve probably seen tv commercials about good and bad bacteria, right? We’re talking about the good folks here, the flora that can help our cats to digest food. Gut flora normally consists of up to a thousand different species, each of them with different characteristics and capabilities in terms of breaking down nutrients. Let’s simplify this for clarity. If your cat eats the same food over months and years, the population of bacteria that are capable of dealing with the specific ingredients in this food will outgrow the populations of other bacteria, as the “preferred” ingredients for these other bacteria are scarce. 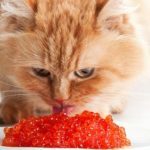 If a new ingredient is suddenly introduced, your cat’s gut will need some time to repopulate the specific bacteria that are required to process the new ingredient. The most common symptoms of gastrointestinal upset are vomiting, diarrhea, loss of appetite, and lethargy. Seem familiar? If a cat vomits after the introduction of a new food, this does not necessarily mean that the new food is bad. Your cat’s body simply may require some time to adjust to the change. The best solution, as described above, is to switch cat foods gradually.